I’m Trying to Grow Tasty Vegetables. In Boxes. Its Hard. But it is exciting! 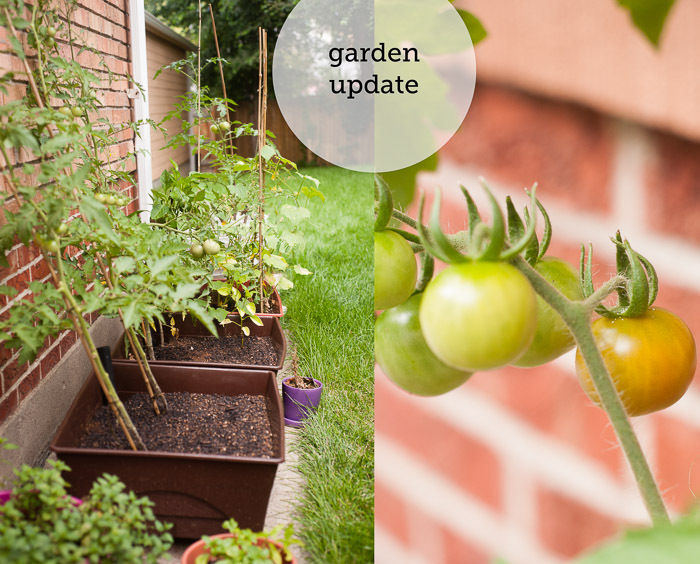 When my first little tomato showed up, I ran around the back yard a few times and then did a happy dance. Miles looked at me like I was crazy. Then he started dancing too. It really was as cute as it sounds. And then when JJ got home, I didn’t even give him a chance to settle in. I dragged him outside and was all, “LOOK! ITS A TOMATO!” He was happy for me, but he really did look at me like I was crazy. And my poor leaning tomato plants. Next year I’m going to plant them in the 5 gallon buckets and rig up a better support system. I call this box the “hot mess box”. I’m pretty sure I way overplanted this one – jalapeno, bell pepper, cilantro, sugar snap peas and cucumbers. And the cucumbers have choked out the peas. And I’m not sure why the leaves are all yellow like – over water? Under water? We harvest and use the mint a lot for our summer cocktails. Yum! And the basil has looked sparse since I introduced Miles to it. “I eat da basil!” as he tears the leaves off the plants. I do like these boxes. Its nice to not have to water them every day. And reassuring to know that the roots are getting enough water even if its 95+ outside. 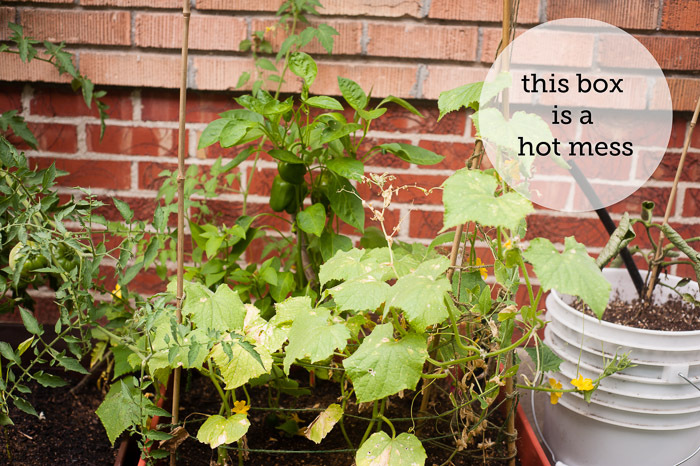 But, man, I’m stressing out about the tomatoes! And the hot mess box! And I’m impatient! I want a tomato! And you probably want me to cease work on the exclamation points!!!! Haven’t had luck with tomatoes, but thankfully have luck with herbs. We have dill, basil, rosemary and mint. Yummy! 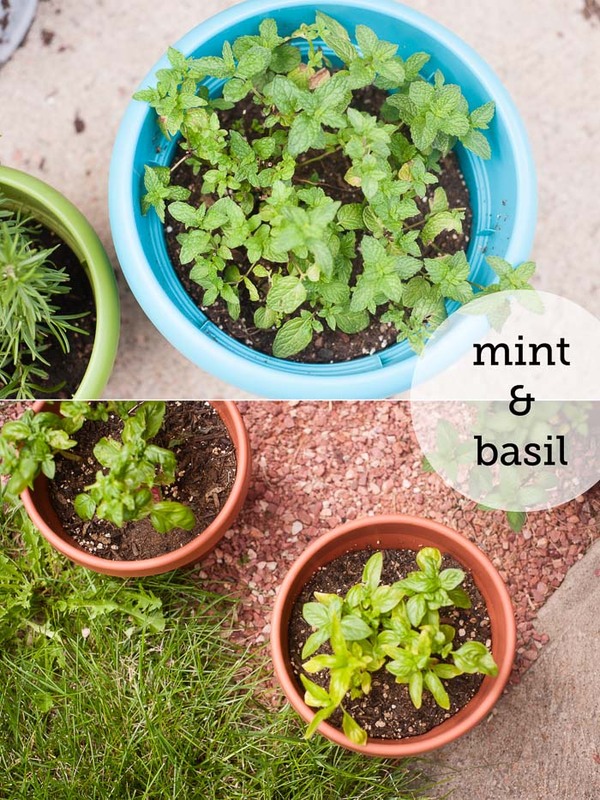 I’m doing ok with the mint, basil and rosemary. The lavender, however, I’ve killed. Twice now. Would love to see photos of your herb garden!